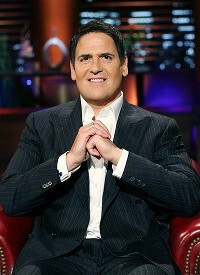 Mark Cuban is the owner of the National Basketball Association’s Dallas Mavericks. Cuban is a serial entrepreneur that has owned in a number of different industries, including internet startups and theater chains. Cuban has noted that he has failed many times, and that he has learned from those failures in business to become a better executive. His controversial statements and viewpoints have made him a lightning rod for criticism. 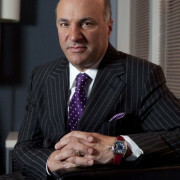 Cuban currently works on the CNBC show “Shark Tank” as an investor. TechnologySpeakers.com Speakers Bureau assists companies seeking to hire speakers like Mark Cuban for speaking engagements, conferences, keynote speeches and more. Our Speakers Bureau can help with finding a technology speaker that aligns with your upcoming event date and budget on such topics as: Innovation Speakers, Cyber Security Speakers, Artificial Intelligence Speakers, Internet Speakers, Social Media Speakers, Tech Company Founders, Futurist Speakers, Computer Speakers and more. Disclaimer: Technology Speakers assists companies seeking to hire talent like Mark Cuban for speaking engagements, appearances, product endorsements, and business sanctions. Our speakers bureau does not claim to exclusively represent Mark Cuban. Our booking agency can help with finding Technology Speakers that aligns with your upcoming events date, location, and budget. When an organization request booking details for a celebrity like Mark Cuban, we work closely with the client to make sure the proposed dates does not interfere with the requested Technology Speakers schedule. We then confirm the talent fee based on the details of the request. The fees listed on the speaker profile are rough estimates based on the previous market rate for the talent. Our team then works with Mark Cuban's agent, manager or assistant on the booking request. For parties interested in hiring Mark Cuban, we recommend filling out the booking request form so our booking agents can help with making your next event a success.